With a few days open in the spring we took a little trip to New England to rest and check out places on our must list. A plane ride on Southwest or Jet Blue gets you to CT, Providence or Boston in 2 ½ hours. As a girl who spent summers at The New England shore I will say this, if you have never been, go. Period. Our first stop was my childhood summer town of Old Saybrook, Connecticut It is to this day, one of my favorites. 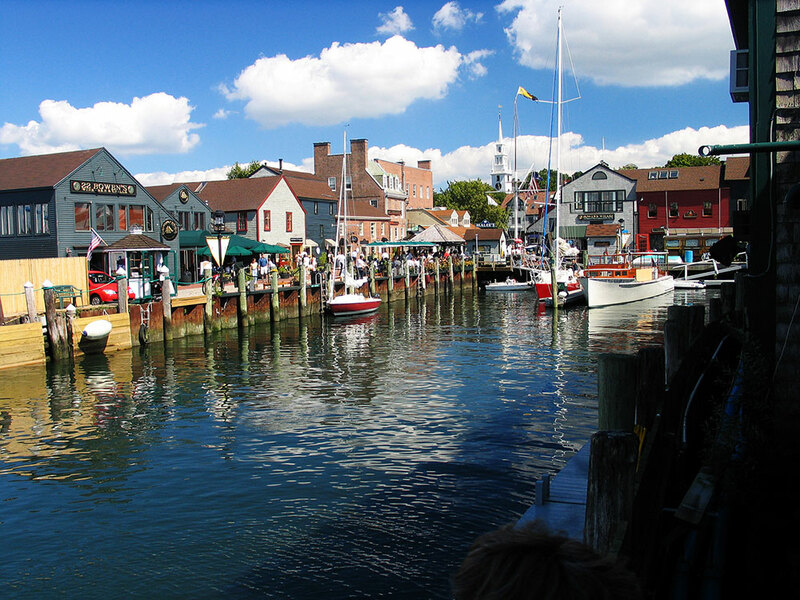 It offers beautiful shores, vistas, marinas and an eclectic collection of shops and restaurants on Main Street and in nearby Essex, where my favorite restaurant, The Griswold Inn lives. There are also two public beaches and several parks within the town and the magnificent Katharine Hepburn Cultural Arts Center offers which variety of live theater and music. Miss Hepburn was a longtime resident. In fact we hear her house in on the market! Old Saybrook is one of the most beautiful towns in New England where the Connecticut River meets Long Island Sound. Our sleep was at the The Saybrook Point Inn and Spa. I have a long love for this place. Back in the day as a child, my Mom ran the hotel desk when it was called The Terra Mar. It attracted a celebrity crowd like Frank Sinatra, Dean Marin and Jayne Mansfield to name a few. (Not kidding!) It is quite different now but walking through the place I can close my eyes and remember those days. The rooms are wonderful and spacious with fireplaces and terraces overlooking the marina and we enjoyed an amazing dinner at the in house restaurant, Fresh Salt. This is a superb place for a wedding, meeting or get away weekend. 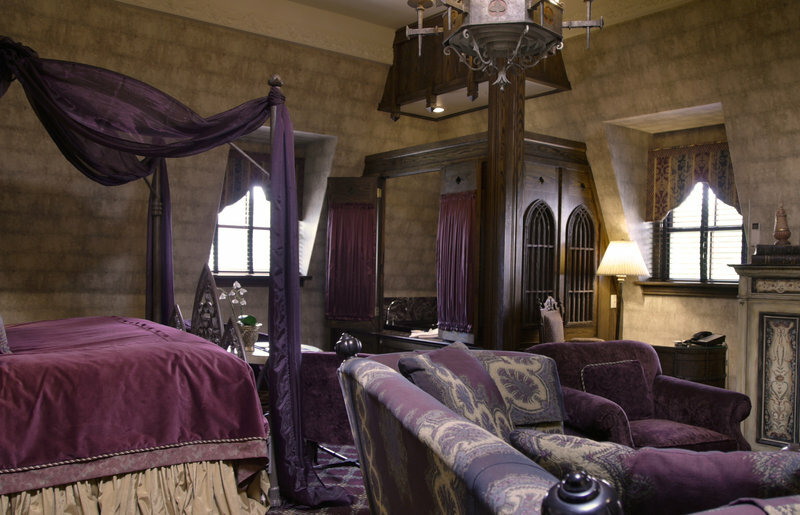 We can’t wait to return and stay at the new boutique guest houses adjacent to the property, Tall Tales & Three Stories. This town will never leave my soul and I shall return, always. 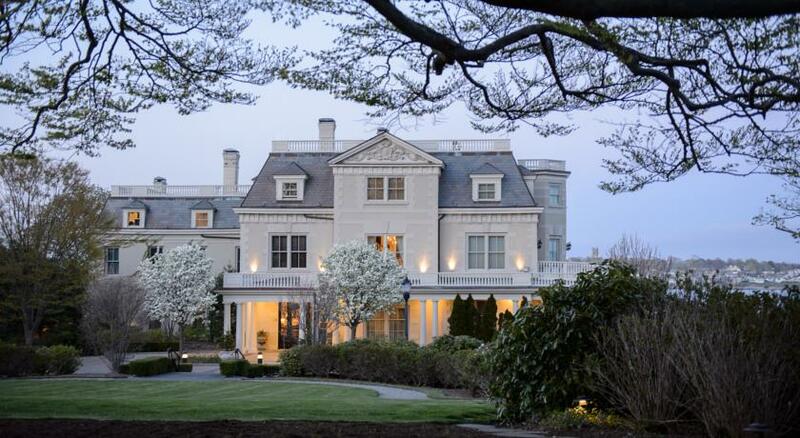 Just an hour drive from CT is Newport, Rhode Island. Another long ago favorite. I had not been in years and it was great to see it had not changed that much. I like tradition so we stopped for lunch and had the best darn clam chowder ever at the Black Pearl. Lucky for me it tastes the same as it ever did! We were excited to check into The Chanler, and it did not disappoint- a boutique mansion on Newport’s famed Cliff Walk with manicured gardens and luxurious rooms and wonderful service. 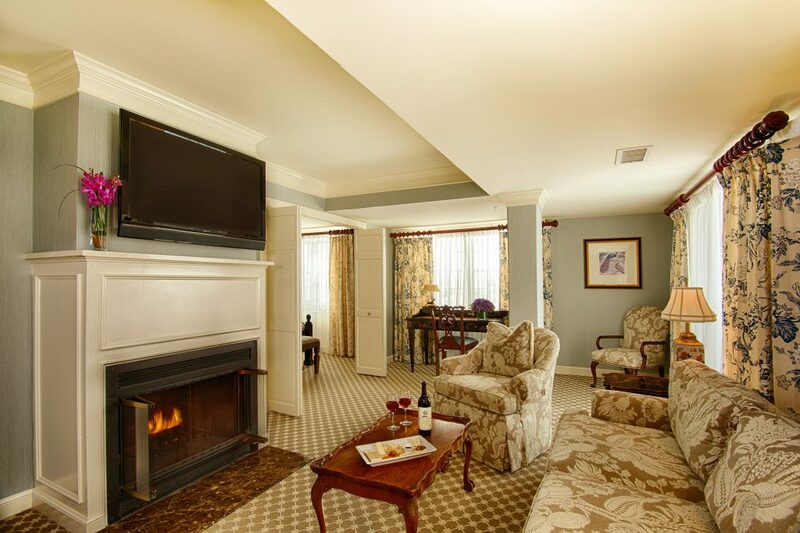 The Chanler offers twenty distinctive and different rooms. 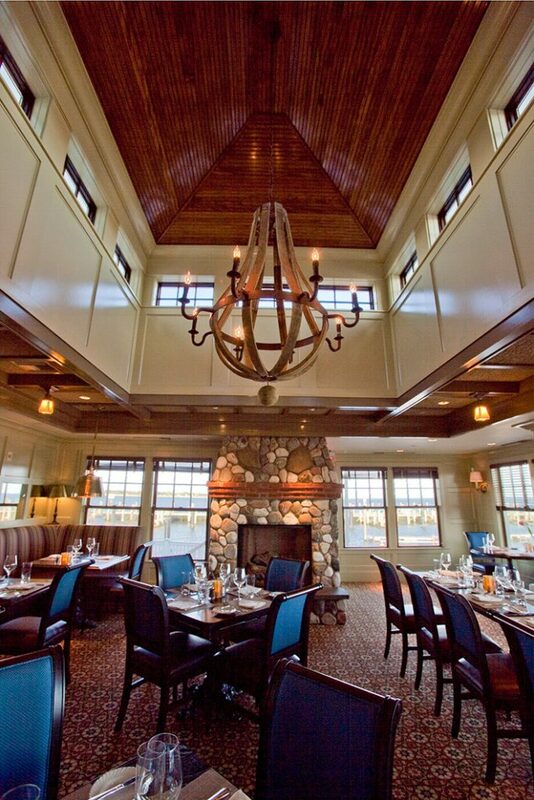 And their signature restaurant, The Spiced Pear is fine dining at its best. That evening I joined my friend James (a local) in town at another favorite, The Mooring for a great dinner of fresh lobster. Everything tastes better in Newport right there on the water, at the picturesque harbor and marinas. There are stylish boutiques, Inns and B& B’s. And there are many charming places in this lovely town. We woke from a perfect sleep to a splendid sunrise. After a yummy breakfast and a brisk 2 mile stroll on Cliffwalk where you pass those gilded mansions of the historic past — (wow, how they lived back then! ), we were ready to depart but made a promise to visit again. A couple of hours later and we were in Massachusetts on the Cape. Officially known as Cape Cod. The beaches are among the finest in the world. The vast white sand beaches offer a diversity of choices, including, salt water and fresh water beaches and a range of sizes from small secluded to huge beaches. 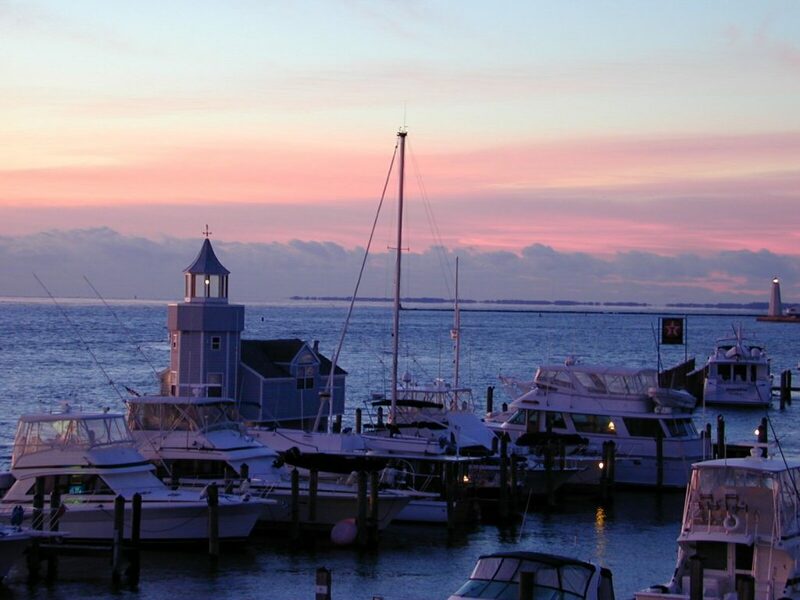 Each town on the Cape has something unique to offer in the way of natural beauty, history, arts and entertainment. The Cape is about 70 miles in length with more than 500 miles of coastline and is subdivided into four total regions: Upper-Cape, Mid-Cape, Lower-Cape, Outer-Cape and The Islands — Martha’s Vineyard and Nantucket. 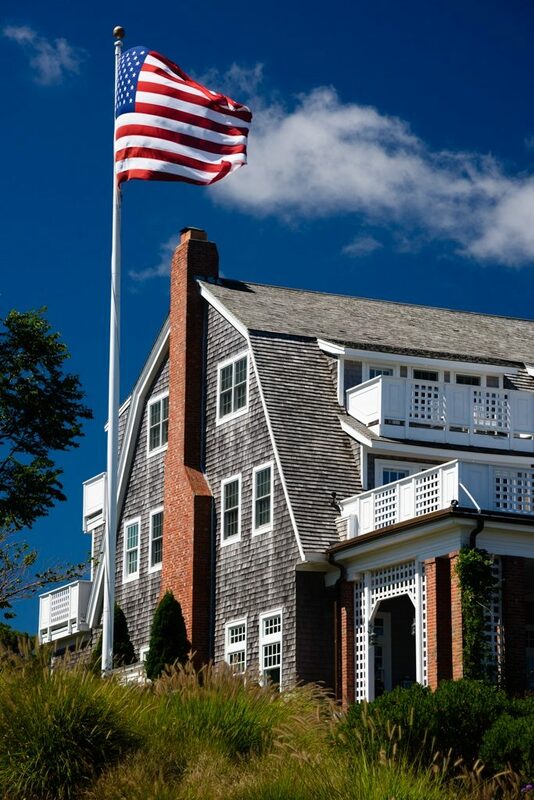 The quaint seaside town of Chatham is located in the lower cape and at the end of the main street and a left turn is where you will find paradise, the Chatham Bars Inn. The magnificent presence of this place took us by surprise. We did not realize how large it was going to be. It is totally New England, both charming and grand with its sweeping front porch overlooking the water and stately living room, it immediately evoked a warm feeling of nostalgia. Upon arrival, they welcomed us with open arms like long lost friends who may have summered here year after year. We were given a great tour by the manager who also had booked our dinner reservations in town at one of the favorites, our spa treatments the next day, a tour of their own farm with a Lexus from Herb Chambers Motor Cars and a driver — (a perk for all) and dinner at their in house and the best restaurant I have been to in a long time — STARS, as well as a meet and greet with the chef. They thought of it all and that is the way you do it. Service done well-check, check and check! This was some of the best service I had in all, yes all of my travels. That afternoon, I sat by my in room fireplace relaxing and enjoying my surroundings of this spa room complete with sauna, steam shower and bubble tub. I also experienced an in-room massage which then lead me to a blissful disco nap. That evening in town we enjoyed some of the local shops and a great meal at a place the locals call The Oyster. 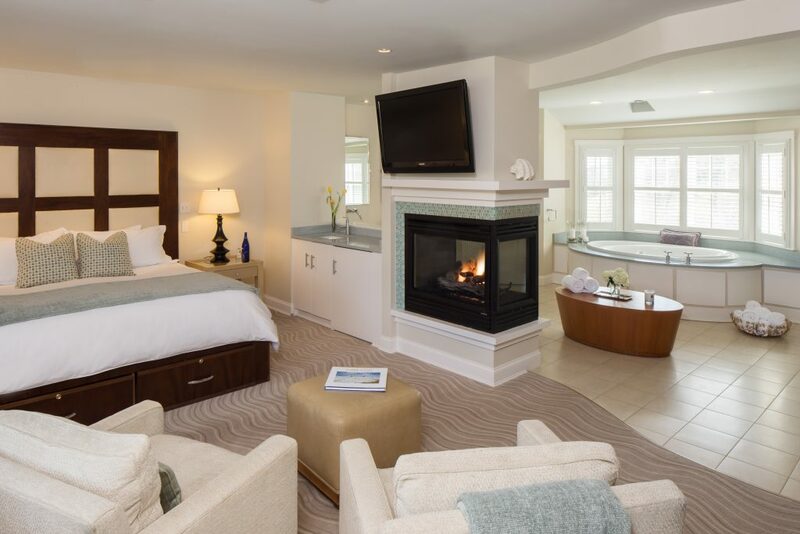 The charming scenery of Cape Cod is the perfect setting for a relaxing and luxurious getaway at Chatham Bars Inn. 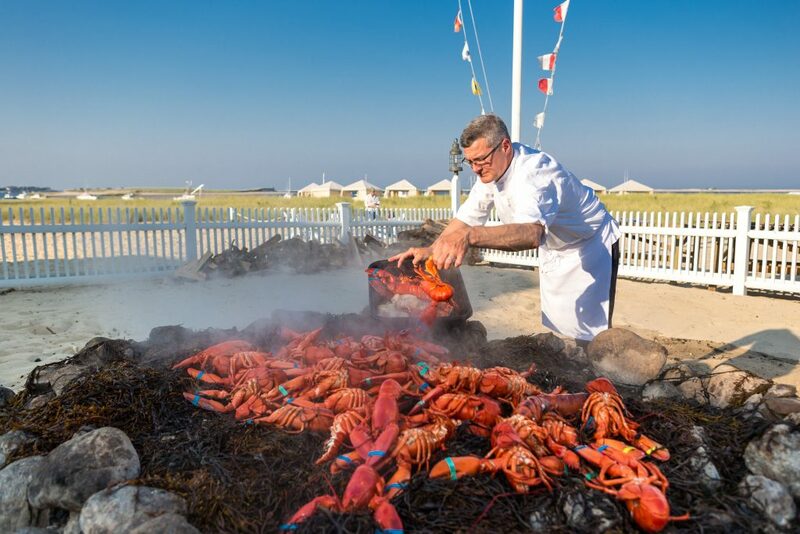 Our distinctive programming reflects what makes summer in New England so unique: sailing expeditions, clam bakes, beach days and family-friendly recreational activities. Morning was greeted with a bountiful buffet breakfast in the main dining room where once again we were welcomed by everyone. We figured they must have sent our photos around to everyone or they are just that perfect, either way, it is those types of pleasantries that go a long way. After that we were whisked away to the CBI nearby eight acre farm where they produce the freshest seasonal vegetables and berries picked daily for use in the restaurants. During the winter months, the two greenhouses produce the lettuces and micro greens used in the winter salads. This is truly a farm to fork operation. We also got some green thumb lessons on how to grow some things on our own, needless to say we were excited for dinner that evening. Meeting with Chef earlier in the day, he had asked if he could just feed us. And that he did — course after course was extraordinary — five star dishes with flavors bursting at every bite. 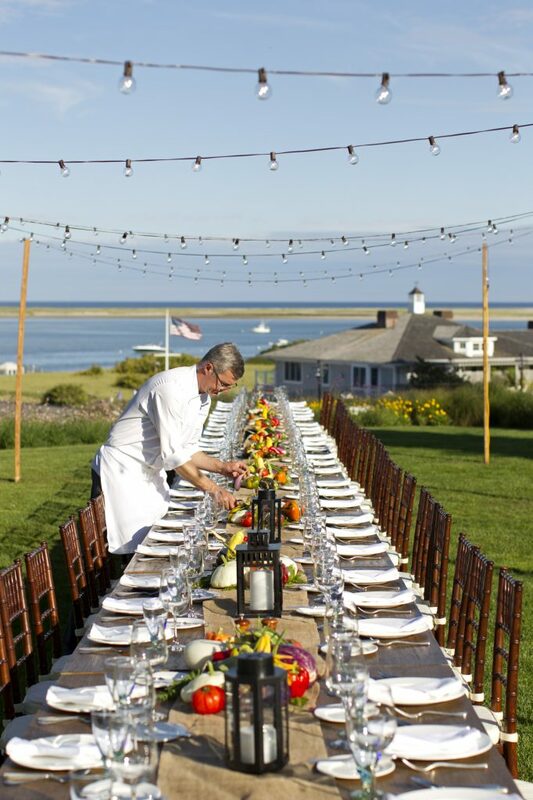 Our favorites included the spring salad, made with ingredients from the farm, his play on oyster stew- the best we ever had, risotto with ramps and of course lobster. Our server was originally from West Palm Beach and he took great care of us like we were part of his family- even hugging us upon our departure. If this says anything about this place then it is this: that beautiful man came to work at Chatham Bars Inn one summer and decades later he is still there. Yes, it is that kind of magic you find at every corner. 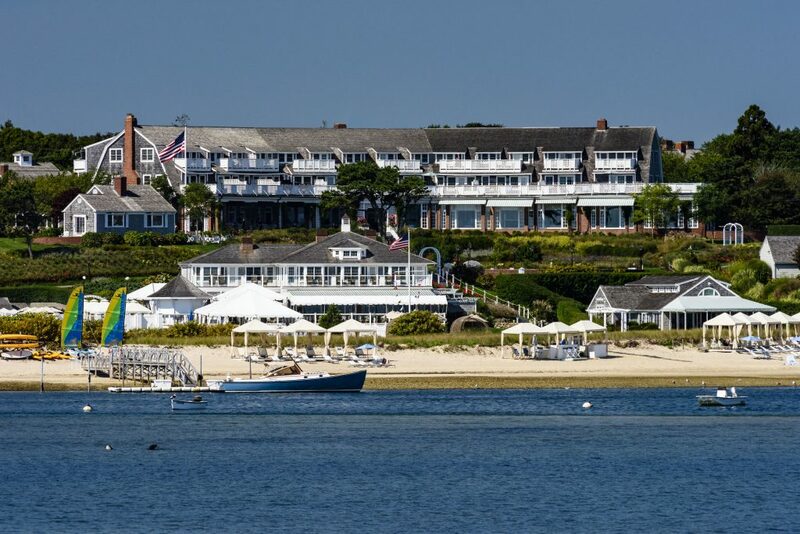 I could see why Chatham Bars Inn could boast the history of families returning year after year for a summer vacation or a family event. Count me in as one of them. Because in the end the WOW factor was achieved.